And no, I don’t mean tobacco! This morning was the first attempt at smoking some really yummy things on a wood chip smoker that we bought ages ago but never had the chance — or to be more specific, the SPACE — to use. But now that we have a fabulous roof top with all the breeze and fresh air we need, it’s time to smoke. On the menu today was smoked bratwurst, eggs, and cheese. Yes, very experimental! The smoker we have is technically a stovetop smoker, which means you place it on an open flame. 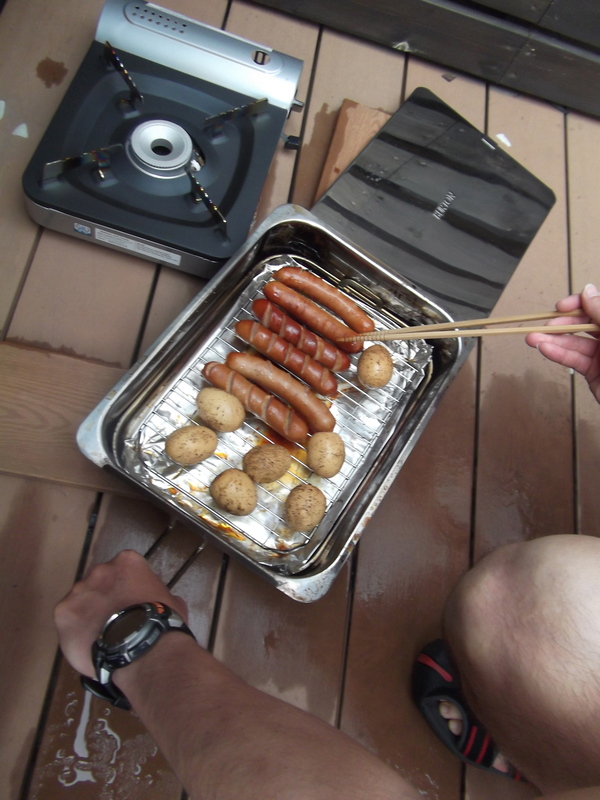 In this case, since we are on the roof, we have a portable gas grill where you pop in the gas canister and you’re good to go. You put the smoker on top of the flame, cover it down, and wait. After about 20 minutes or so, it was already starting to get that nice golden brown color. Looks good, right? But I am sad to say, this smoking of the sausage and egg was a bust. I don’t know why, but everything just tasted burnt and bitter. Perhaps the fire was too high and the chips got a bit burnt, or maybe the type of wood was not a good match for the sausage and egg, but it really was a failure! The eggs had to be thrown away, they were so incredibly bitter and sour. 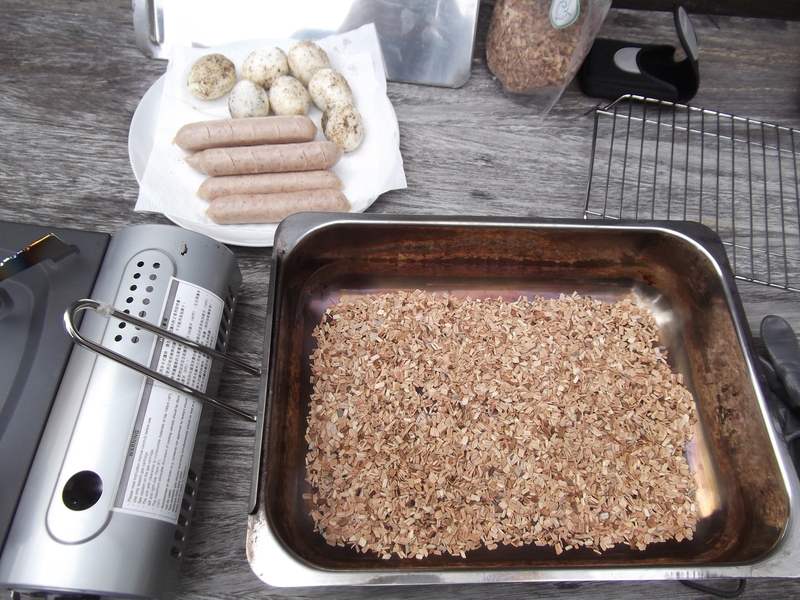 The sausages possibly can be salvaged in a fried rice or something. 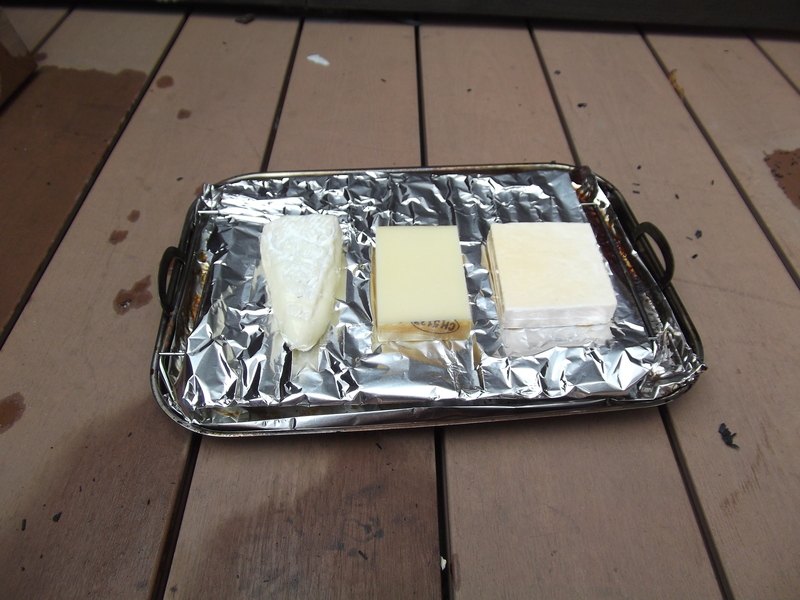 So the last part of the smoking was to smoke cheese. You turn off the fire, and just let the cheese sit tight in the smoker, soaking up the residual smoke and flavor, because of course with direct flame it would just melt. So guess what? This too tasted like failure! I really don’t know what went wrong but it just did not taste good, and the camembert got a bit too melted. Slightly disappointing! But we still ate it with a baguette and it wasn’t half bad. It was barely half good, though. Oh well. You can’t get two gold stars all the time! At least the roof top is still a winner! Previous Post Gimme ah bligh!!! Oh that is sad! Does sound like a problem with the chips, is my guess. Hey Marie — have you done smoking before? Really no clue what went wrong! f course thy have all the fancy smokers. We used to smoke a lot of fish and such things when I grew up in Alaska, but this is different, I think. This has some interesting tips: http://www.smokingmeatforums.com/t/49635/meat-taste-bitter. 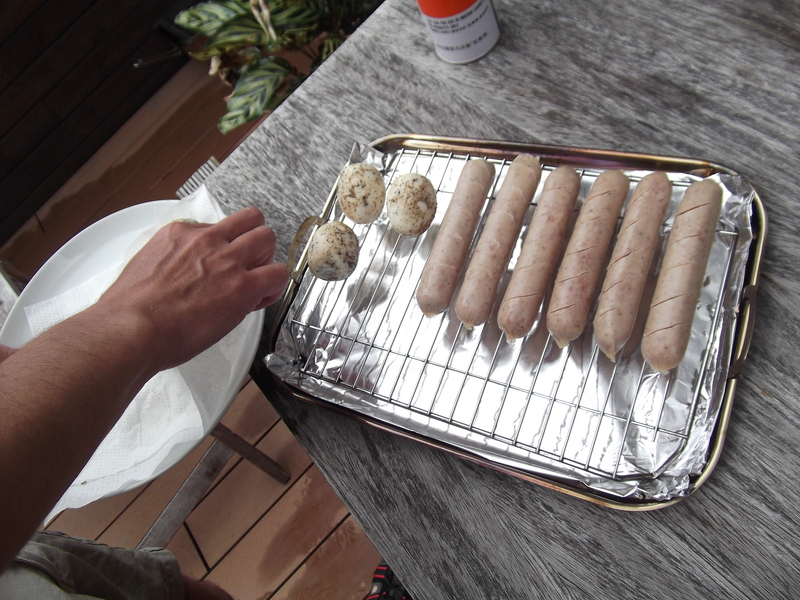 So sorry to hear that….the sausage looked good. I’m wondering if it was the wood. When we smoke fish, there are specific woods that we use. Will have G read this and see what he thinks. We haven’t tried sausage. 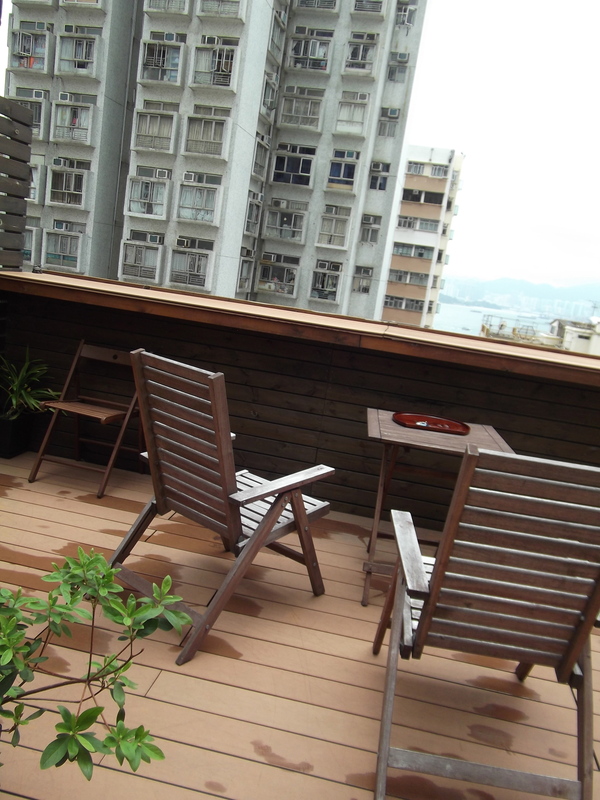 Your deck looks great and fun to have. Speak to Lee and Tina. They know everything about smoking stuff.